Appreciating the efforts undertaken by Mumbai’s Haji Ali Dargah in removing encroachments in the 500 square metre area of the historic shrine, the supreme court ordered complete removal within four weeks. The apex court said if the encroachers failed to comply with the order to remove the encroachments by June 6, then the Joint Task Force (JTF) set up by the Bombay High Court will come into picture and begin the work of removing them from June 10 and complete the task by June 30. A bench headed by Chief Justice J S Khehar directed that the beautification plan around the shrine, built in 1431 AD, has to be placed on record before the apex court on or before June 30. It said the beautification plan prepared by the trust can be accepted and if required, the municipal council of Mumbai can make modification. The council would also be at liberty to substitute it with another plan and in carrying out the above exercise the civic body can take assistance of a well-known urban heritage architect. The bench said the sentiments of the people of the community should be kept in mind while carrying out the plans and posted the matter for further hearing on July 3. The Haji Ali Dargah was constructed in 1431 in memory of a wealthy Muslim merchant, Sayyed Peer Haji Ali Shah Bukhari, who gave up all his possessions before making a pilgrimage to Mecca. The bench in its order noted that the instant order was in continuation of the order passed by it on April 13. It took on record the affidavit of compliance filed by the trust till May 8. “We place on record our appreciation the endeavour of the Trust in complying with our order and the undertaking given by it on April 13”, the bench said. It also appreciated the team of counsel and members of the Trust who participated in the entire exercise by providing input from time to time. The bench noted that the perusal of the factual position depicted in the affidavit indicates that the encroachment has not been removed so far in small portion of 500 square metre. Taking note of the fact, the bench said that it would be just and appropriate to direct the JTF constituted by the Bombay High Court to associate itself with others including representative of the Trust to verify factual position which has to be done within one week from today. It said, In so far as 500 sq mt area over which the encroachments still remain, we consider it just and appropriate to grant encroachers four weeks from today to remove the said encroachments on their own by June 6. We hope and expect that the trust will do good work in persuading encroachers to remove the encroachments. Any remaining encroachments thereafter, will be removed by the JTF, the bench said. 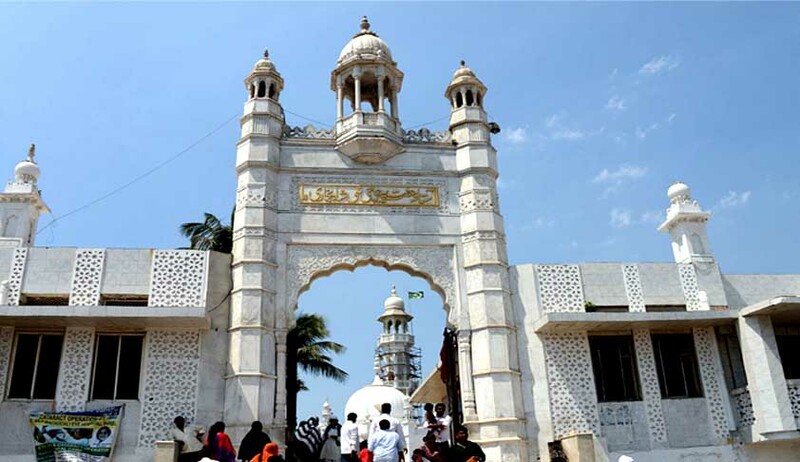 The Haji Ali Dargah Trust had on April 13 relented to the tough stand taken by the apex court against large scale encroachments around the historic Mumbai mosque and volunteered to remove them by May 8.